The Two Bridges Care Group, which undertakes volunteer driving for elderly and infirm people, with no other means of transport, who need to get to hospital, dentists, doctors, is a necessary and much-valued service. 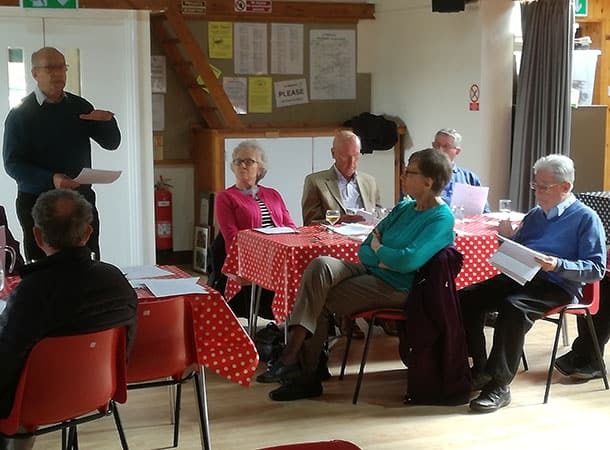 The Group had its AGM, last Tuesday 27th March 2018. Over this last year, the number of drivers and coordinators has decreased and is therefore in need of more volunteers. Yet, the care group has helped no less than 674 clients and covered over 9,000 miles. It has helped 163 more clients than in the previous year and has made contributions to four more local charities and other groups. The group still operates in the Alderholt, Fordingbridge, Godshill and Sandleheath areas. At the AGM, the committee was re-elected, with Rosemary Wyatt as a new committee member, and Nick Jones was elected to be the new Vice-Chairman, to back-up the existing Chairman, Valerie Allpress, who will undertake one more year. The Two Bridges Care Group does still require more drivers and coordinators. Both roles are fun, rewarding, enabling everyone to meet and help more people, locally.